Hori is working on a fight stick for Apple's iPad. Here is a concept of the stick working with Street Fighter IV. The official Facebook page of Hori has posted an image of a concept fight stick for the iPad. The iOS version of Street Fighter IV is being played on the device. 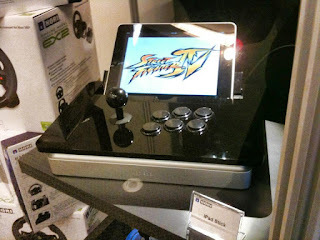 Should the fight stick come to fruition, it would rival the iCade.